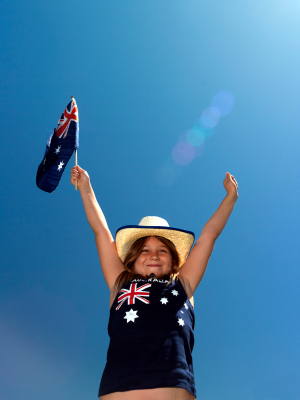 Welcome to the New Year and we hope that you enjoyed Australia Day! To entice you, at the end of February we will be having a draw to our friends on Facebook & Twitter. The winner will receive a $50 gift voucher to a choice of either JB Hi Fi, the Coles Group, Borders or Kirra Galleries. We are looking forward to working with you and developing our business relationship over the coming year. Kirra Galleries showcase the most comprehensive collection of Australian Art Glass seen anywhere in the world, as well as collections of handmade jewellery, ceramics, timber and sculpture all made by Australian artists from the finest materials. Kirra Promotions would like to introduce you to Kirra Galleries, the other division of Kirra Australia, located at Federation Square. Kirra Galleries showcase the most comprehensive collection of Australian Art Glass seen anywhere in the world, as well as collections of handmade jewellery, ceramics, timber and sculpture all made by Australian artists from the finest materials.They now have an established reputation as leaders in the Australian Contemporary Art Glass Movement. Kirra Galleries also have an active involvement with clients, consultants, corporations and artists to commission works for all situations in private, public, or commercial spaces. Kirra Galleries hold a number of exhibitions each year highlighting the incredible diversity of Australian art glass as well as works by artists working in a variety of different media. To join the Kirra Galleries mailing list, please follow the link below. To view larger photos of the below items, simply click on the images.